As a recruiter, it’s vital that you and your team members spend the maximum amount of time talking to real business opportunities (employers looking for recruiting or staffing services) and minimize the time speaking to weak leads, which are those who have no capacity or even desire to use your services. 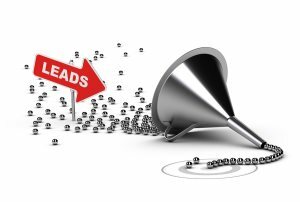 Ideally, leads should be qualified in just a few questions, so sales people can quickly shift to stronger leads. And below I have outlined six questions (in no specific order) that can be phrased to suit the sales person’s style and which can quickly help recruiters to establish if they are dealing with a strong lead worth pursuing. You may not need to ask all the questions to reject a lead, but you might want to ask a few questions to help you qualify, quantify and assess the lead. 1. Does the HR Representative or Hiring Manager have purchasing authority? It’s vital that this is established very early on in the proceedings whether the HR rep or hiring manager you are talking to can actually give the green light on contracting your services. If they can’t, you might want to limit your schmoozing time to simply finding the contact details of the decision maker. 2. Are they planning to hire over the next year and to what level? Clearly, you need to establish how much hiring is scheduled over the next three, six, nine and 12 months to see if this client has enough potential. Good ways to establish this information are to directly ask them what their hiring plans are, what is their turnover level, or how many hires they made last year to determine potential hires for this year. If forecast hires seems to be nonexistent or too low for your business, you might want to move on quickly. 3. Are they currently using a recruiting or staffing agency or have they used one in the past? Probe for as much detail as you can here, e.g. how often have they used one, who have they used, for how long and for what roles. If they have used before, then at least you know they are a genuine buyer of your services – and if they have bought once there is a likelihood they may buy these services again. They are a warm lead as opposed to a cold one who has never bought before. Try and establish their likes and dislikes about their current service provider or hiring process. If they are satisfied with their current hiring methods in terms of speed, value and quality, they rate as a very hard sell and a weak lead. But, if they are unhappy, then you know that dissatisfaction is a powerful motivator for them to switch providers or change their hiring strategy, and they are a strong lead. 5. Can you offer a better service than what they currently have? This needs a degree of honesty with oneself. Does your offering match up? Can you really offer the quality, speed and value that they receive now? If not, this may be a poor quality opportunity. It is better to let this one go, rather than be exposed later on in the process after you have invested time and resources. 6. Are they bound in a contract? Establish whether there are any exclusivity agreements or paid service contracts in place, which prevent them from contracting with another provider. If the lead is bound in a contract, find out when it renews and contact them again around contract renewal time. Good luck with your next sales call, and I’d be keen to hear any questions that you use to quickly qualify your leads.